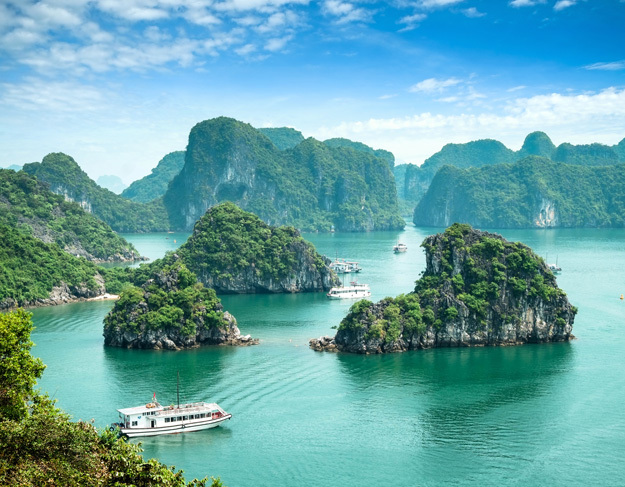 Vietnam, located in the western edge of Southeast Asia, is a country of epic beauty and a fascinating heritage. With its troubled past, the country was once split in two and at war, well behind it, it has picked itself up and opened its arms wide to tourism. From the colonial chic of Hanoi to the emerald waters of Halong Bay in the north, the golden sands of Hoi An in the centre to frantic Saigon in the south, there is something for everyone in Vietnam. Coupled with delicious French influenced cuisine and the friendliest people you could ever meet, Vietnam is certainly the jewel in Southeast Asia’s crown. Go now and experience its enchantments for yourself! But why visit just one incredible country when you can visit two? Why not visit Vietnam and its beautiful neighbour Cambodia on one brilliant holiday, seeing as you’re over there! Why Should I Extend My Holiday In Vietnam To Include Cambodia? Sandwiched between the ever-popular Thailand and Vietnam, tourists often overlook Cambodia and its magnificent treasures. There’s one in particular that should be on everyone’s bucket list. 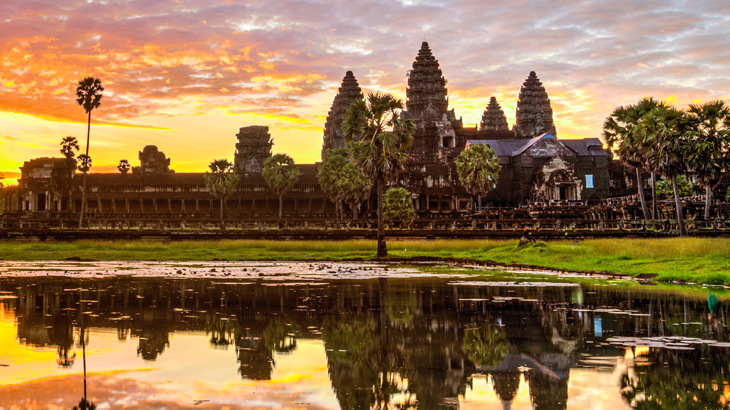 It’s likely that you’re familiar with it, as its famous throughout the world – the magnificent Temples of Angkor, a UNESCO World Heritage Site, situated on the edge of the city of Siem Reap. Here, you’ll find Angkor Wat, the largest religious monument in the world. 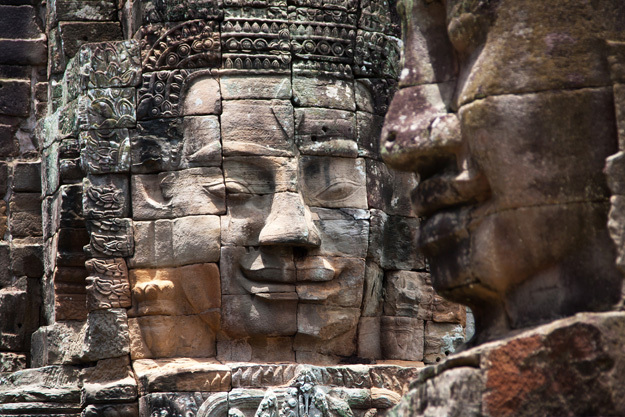 It is the epitome of the architectural skill of the ancient Khmer Empire and an incredible sight to behold. It’s best seen at sunrise, where the orange hues of the morning cast the building into stark silhouette and the light plays on its lotus-flower filled moat. 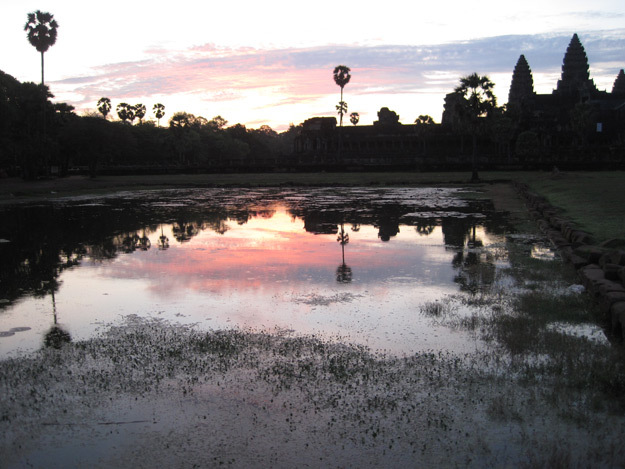 But did you know that Angkor Wat is but a small part of the Angkor complex? 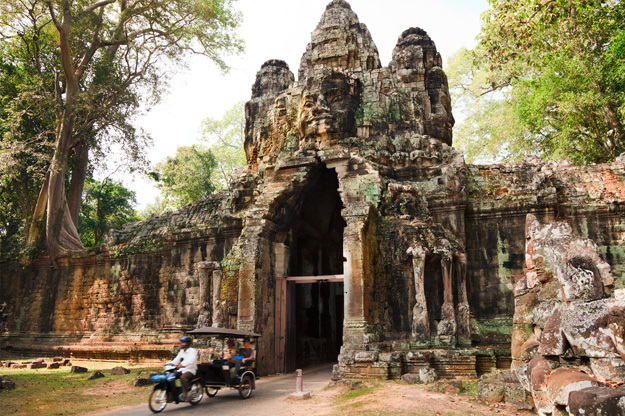 Generations of Khmer rulers built hundreds of temples, which today are all artfully crumbling in their exotic jungle settings and ripe for exploration! 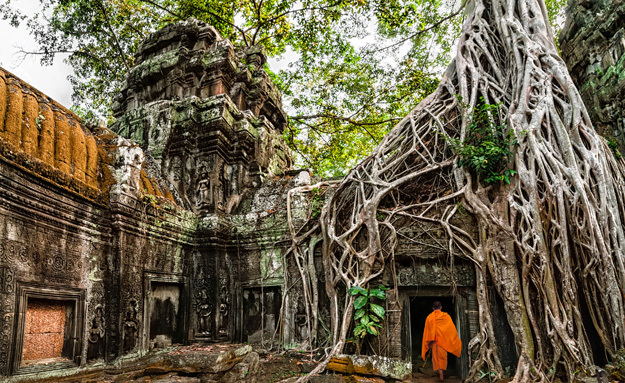 There’s the atmospheric Ta Prohm, a temple left to the jungle and full of mighty roots and towering trees. Scenes from the Hollywood blockbuster Lara Croft: Tomb Raider were filmed here. There’s the Bayon, a mountain temple richly decorated in beautiful, enigmatic faces and built primarily as a shrine dedicated to Buddha. And then there’s the walled city of Angkor Thom, the last capital of the Khmer Empire. Within the walls are five grand entrance gates: one for each compass point and one known as the Victory Gate. Entering through any of them gives a huge sense of adventure to come! What’s more, during your three days in Cambodia, you’ll get to experience Siem Reap’s bustling markets, great food and lively nightlife. If Vietnam is Southeast Asia’s jewel, Cambodia is its undiscovered gem – you’ll leave wanting to know even more of this untouched country. So tick both Vietnam and Cambodia off your bucket list for the price of only Vietnam; and come home with memories to last a lifetime. Editor’s note: This post was originally published in April 2016 but has been fully revamped and republished. Cambodia, Vietnam offer, sightseeing, vietnam news. permalink.